Tottehnam have conceded the same number of goals as Burnley this sesaon. Tottenham Hotspur boss Mauricio Pochettino has warned his squad that no player is assured of his future at White Hart Lane. Pochettino says he will not be afforded a massive budget to spend this summer and has hinted he may be forced to juggle his squad in order to get new players in. Spurs have conceded as many Premier League goals as relegated Burnley this season to date and their manager says it is his priority to clean up a misfiring defence. "Always, you need to analyse the last season. Nobody is sure that they are staying at the club," said Pochettino. In the wake of Gareth Bale's departure to Madrid, Spurs embarked on some heavy spending but Pochettino knows he must adopt a much more measured approach in his summer rebuilding. "I do not have the same possibility to spend a lot of money like the manager here two seasons ago. We need to be clever in the way that we build the new squad, because it is difficult to compete with the money," he added. Spurs welcome Hull to White Hart Lane this weekend where a home win could consign the Tigers to relegation. Nobody is sure that they are staying at the club. Tottenham are 1/1 to win while Hull are 1/1 and the draw is 1/1. Pochettino highlighted the fact Tottenham are the only Premier League team with three players that have hit double figures in goals this season – Harry Kane, Christian Eriksen and Nacer Chadli – but he knows he must address a porous defence. "We need to find a better balance between offensive and defensive and be more consistent. We need to improve a lot in our defensive situation." 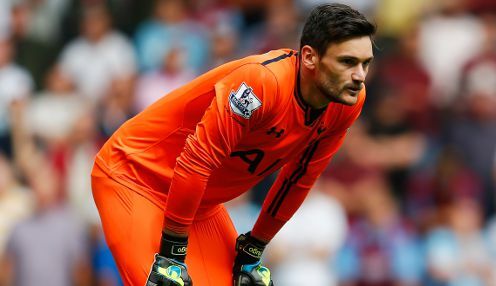 Spurs are 1/1 to keep a clean sheet against Hull on Saturday.